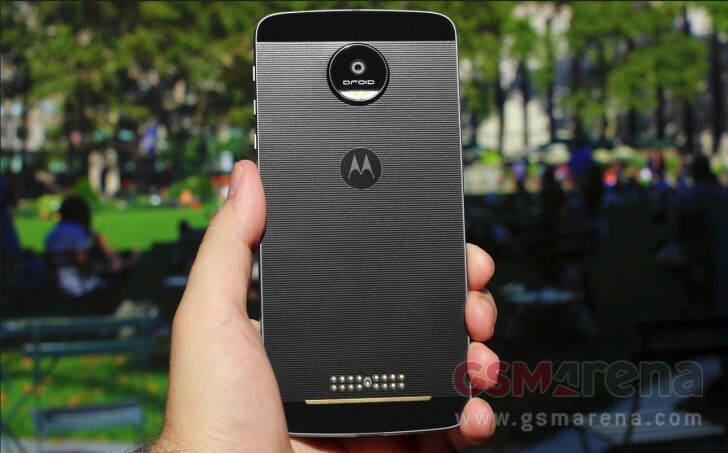 Although Verizon hasn’t officially announced it yet, many users with Verizon-branded Moto Z and the Moto Z Force have been getting reports of the device receiving and OTA update for Android Nougat 7.0. We can confirm that both the Moto Z and Z Force units we have are now downloading the update once we manually checked for them. 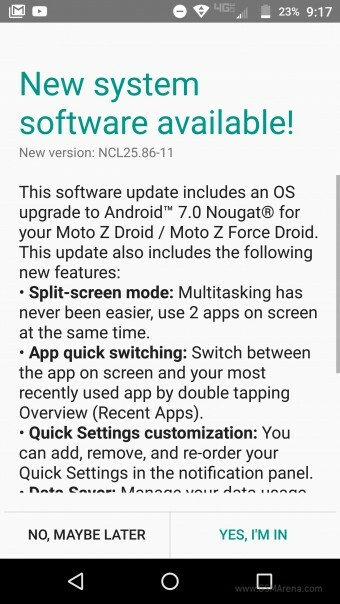 The software version of the OTA update is NCL26.86-11 for the Z Force Droid and NCL25.86-11 for the Moto Z Droid. The OTA measures in at around 1,500MB and it has an estimated install time of 20 minutes. It gets seriously warm, so take any Moto Mods or covers off to let it cool during installation. The installation notes mention new Nougat features like split-screen (which is now baked into Android Nougat), App quick-switching (double tap the app switcher to switch between your two most recent apps). This is the first Nougat update for Moto devices and still among the first Marshmallow devices to be updated to Nougat. But still not as fast as the time Verizon’s Moto X was the first to get KitKat back in 2014, even before Nexus devices that were up for the update. One of the upsides of having minimally modified software is the ability to release them before other OEMs.This is the first Nougat update for Moto devices and still among the first Marshmallow devices to be updated to Nougat. But still not as fast as the time Verizon’s Moto X was the first to get KitKat back in 2014, even before Nexus devices that were up for the update. One of the upsides of having minimally modified software is the ability to release them before other OEMs. The update is rolling out now so if you don’t have the notification yet, head to Settings > System updates > Check for system update. When we did it, it pulled the OTA down right away. Let us know if you were able to install the update!